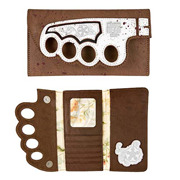 The Walking Dead Merchandise Is to Kill For! based on the comic book series of the same name by Robert Kirkman, Tony Moore, and Charlie Adlard. A host of zombies (aka "walkers"), riveting storylines, and unforgettable characters like sheriff's deputy Rick Grimes, katana-wielding Michonne, bold Carol Peletier, ruthless and power-mad The Governor, the Hilltop Colony's Jesus, ex-military sergeant Abraham Ford, Jacksonville's Tyreese Williams, and of course, the uber-popular Darryl Dixon keep fans glued to their seats and longing for the next episode before the last one ends! Toys and collectibles spawned by the show are equally in demand. 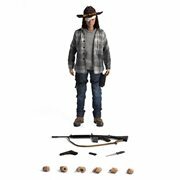 Shop The Walking Dead toys, action-figures, t-shirts, and more! 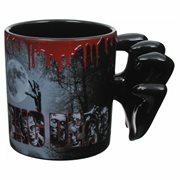 Well, not really, but few TV shows have gripped the American viewing audience with a ferocity matching that of the post-apocalyptic horror series developed by Frank Darabont for AMC and based on the comic book series of the same name by Robert Kirkman, Tony Moore, and Charlie Adlard. A host of zombies (aka "walkers"), riveting storylines, and unforgettable characters like sheriff's deputy Rick Grimes, katana-wielding Michonne, bold Carol Peletier, ruthless and power-mad The Governor, the Hilltop Colony's Jesus, ex-military sergeant Abraham Ford, Jacksonville's Tyreese Williams, and of course, the uber-popular Darryl Dixon keep fans glued to their seats and longing for the next episode before the last one ends! Toys and collectibles spawned by the show are equally in demand. 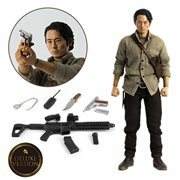 Shop The Walking Dead toys, action-figures, t-shirts, and more! Action Figures, Pop! 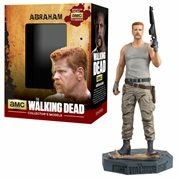 Vinyl Figures, Statues, Bobbleheads, and More! 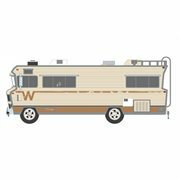 The Walking Dead follows a small group of survivors traveling across the desolate United States in search of a new home away from the shuffling hordes of the undead. They struggle to survive and adapt in a world filled with walkers and opposing groups of survivors that are often more dangerous than a zombie. Games, backpacks, messenger bags, pins, glassware, and even pet accessories inspired by their adventures have come into being, giving the rabid fan plenty of goodies to choose from. They're very cool and make unforgettable gifts for any time you want to leave a lasting impression… like Lucille, Negan's trusty bat, would! The Walking Dead premiered in the United States on October 31, 2010, exclusively shown on cable television channel AMC and internationally on Fox International Channels. As a result of very favorable Nielsen ratings that ranked the show unprecedentedly high for a cable series, AMC renewed the series year after year. Over that time, it attracted the most 18 to 49-year-old viewers of any cable or broadcast television series. It's also been well received by critics and nominated for several awards, including the Writers Guild of America Award for New Series and the Golden Globe Award for Best Television Series. So, if you're among the many die-hard Darryl Dixon admirers and zombie zealots, you're in very good company.